What does it cost to use a Diana camera? Does the cost of shooting film make a Diana too expensive as opposed to a digital camera? The cameras themselves are relatively inexpensive. 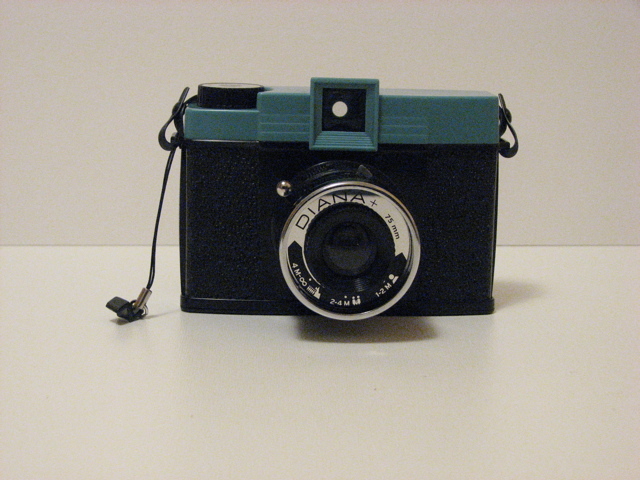 ($35-50 for a Diana+, $25 for a Holga camera). The cost of consumables, i.e. film and prints, is not insignificant and it is good to think about it before jumping into a film camera. What sort of photographer are you? Have you been photographing for awhile, and are now thinking about buying a Diana? Do you want to shoot black and white or color? Where are you geographically? If you want to go mail order, some people have recommended Dwayne's Photo to me.They are based in Kansas and will process and print 120 film. Cost for the film itself will depend on the type of film you use. Check out these websites, they'll help you get a handle on the cost of the materials. How much it will cost you, will depend on how much shooting you plan on doing. How well does the Diana+ make photos? Were the people over at Lomography able to capture the same magic as original Diana camera that has captivated photographers from all over the world? 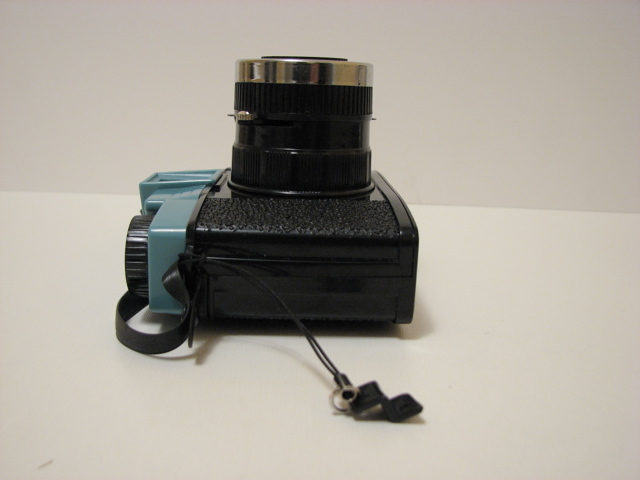 One of the areas of concern with the Diana+, is that it shoots 5.2cm x 5.2cm negs, like the Holga camera, and uses an insert to get the more Diana traditional 4.2cm x 4.2 cm. Will the Diana+ be more like the Holga and less like the original Diana? For the first roll, an original Diana was used along with the Diana+ shots, so the negatives could be compared for differences. 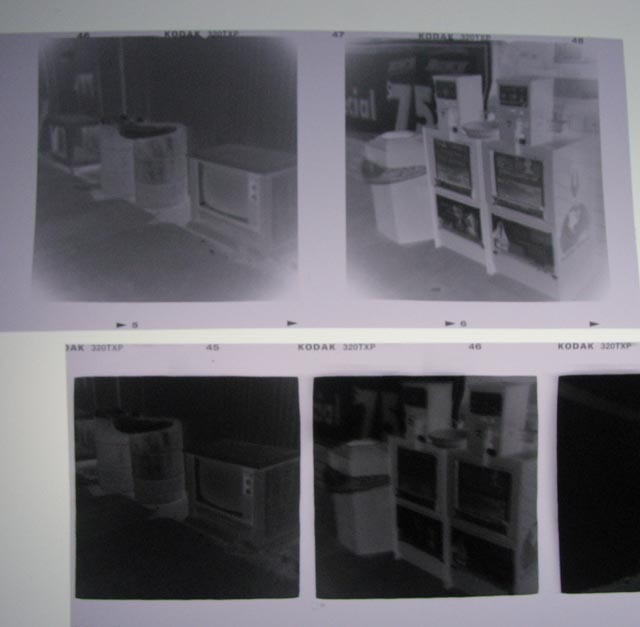 Here are 2 pairs of negatives from each camera. Both cameras were set to the shutter setting (Not B) and cloudy aperture, with Tri-X pro film. 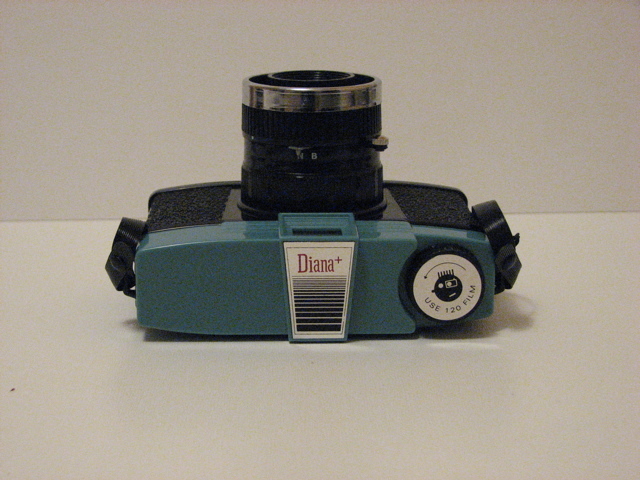 The Diana+ was used without the insert. The relative size of the objects in each corresponding negative is very similar. When the negatives were overlaid on a light box, the objects were almost identical in size. 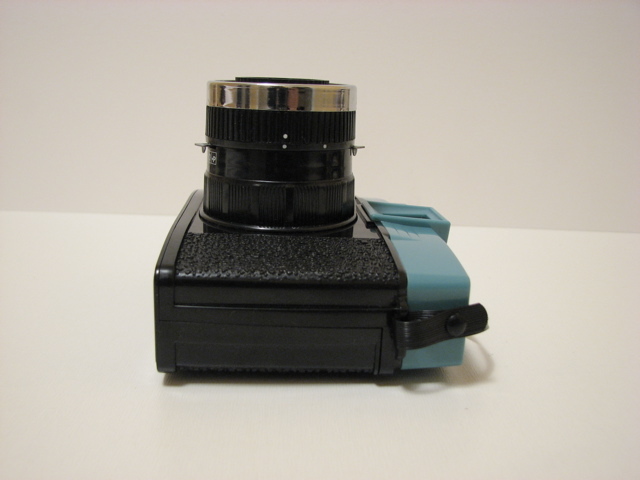 The Diana+ with the mask produces almost identical sized negatives as an original Diana. The original Diana negative is exposed a bit more, but probably due to a slower shutter. The image itself shows the classic vignetting on the edges. The larger negative area shows more fall-off in the corners, but that is to be expected. If the film mask in an original Diana was filed out, you would see a similar increase in vignetting. There is a sharp sweet spot in the center of the image, and the newspaper headlines can be clearly read. 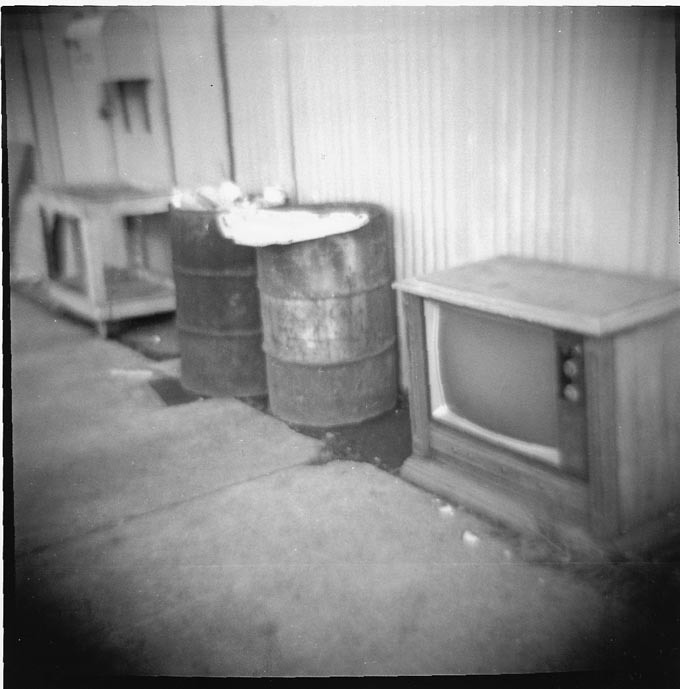 The next image is that of a TV on the sidewalk. Here, there is no sweet spot, but a overall softness. Some would consider this to be bad, but this is characteristic of a classic Diana lens. As with an original Diana, sharpness is an unpredictable element. The Lomography Diana+ camera (Diana Plus) is a faithful re-creation of the ever so popular, iconic toy camera of the 1960's, the Diana camera. It offers all the same capabilities of the original, plus a pinhole, which is utilized by removing the front part of the lens barrel. The camera is also loaded with other niceties the original lacked, such as a tripod socket, standard full frame negs and special insert masks to get the traditional 16 4.2x4.2cm negs, or panoramas. 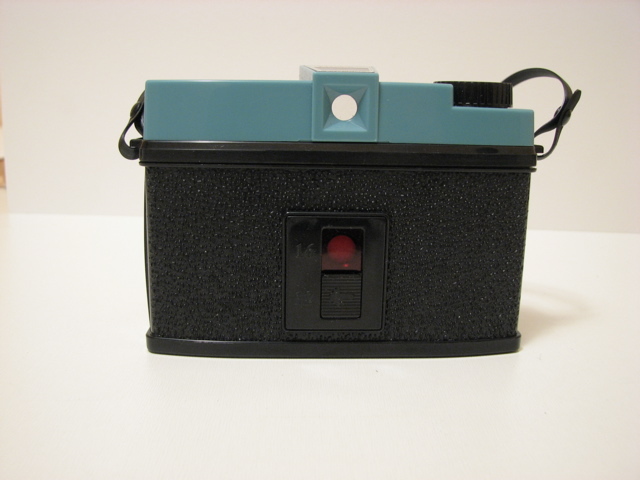 They also include a little plastic piece which is used to hold the shutter open for long exposures. 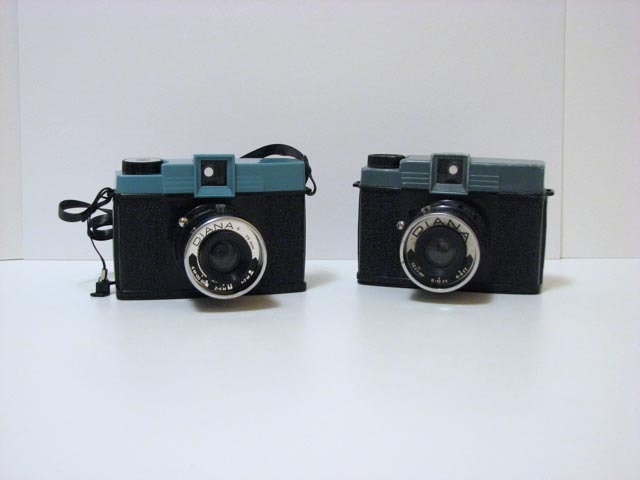 The Diana+ camera looks much like it predecessor, with the same look and finish. Diana+ book: True Tales and Short Stories. A hard-bound book of Diana images, stories, and photographs of the amazing Detrich Collection of original Diana cameras. The camera looks and feels like and original Diana. They have paid very close attention to detail when creating this camera. The materials used feel like the original. The Diana+ camera has the same lightweight feel as the Diana original. On the front of the camera, we have the range focus setting. What's new is that the distances are set in meters, as well as the Holga-like icons. You can see the time exposure stop attached to the camera strap lug. The little attachment is a nice touch, making sure it's handy when you need it, and not at home in some drawer. Speaking of the camera strap, it is still thin plastic strip attached by little plastic knobs. Additional information on the plate states that the lens is 75mm. From the top we see the familar Diana nameplate with the Diana+ name, and the winder knob which declares the camera uses 120 film. On the top of the lens barrel is the shutter adjustment. Like the original, you have 2 choices, B or N. The B-stop will hold the shutter open for as long as you hold the shutter down. For really long exposures, you would insert the little plastic stop into the shutter lever slot to hold the shutter open. Also there is the shutter lever. The shutter release on the Diana+ feels a little softer than an original Diana. So far, I am finding the film a little difficult to wind, especially as you progress into the roll. I guess part of the trade-off to keeping the roll tight is a slightly difficult wind knob. On the bottom of the camera, we see the camera back lock lever, and new to the Diana+, a tripod socket. We can also see the discreet placement of the Lomography logo, which I personally appreciate. On the lens barrel, is the aperture adjustment lever. We see the 3 familiar settings, cloudy, semi-cloudy, sunny and an new addtion, P. The P is the setting for the Pinhole. On the aperture plate, they have added a pinhole, which you use with the lens removed. On the left side of the camera, we see the alignment dots on the lens barrel. Twisting the lens to the second dot allows the removal of the lens, so that the pinhole may be used. There's not much going on the right side of the camera. You can get a better look at the plastic B-stop insert. On the back of the camera, we see another new addition, a Holga-like slide for the film counter window. There are 2 settings, for 12 and 16 exposures. The slide for the window moves very easily. 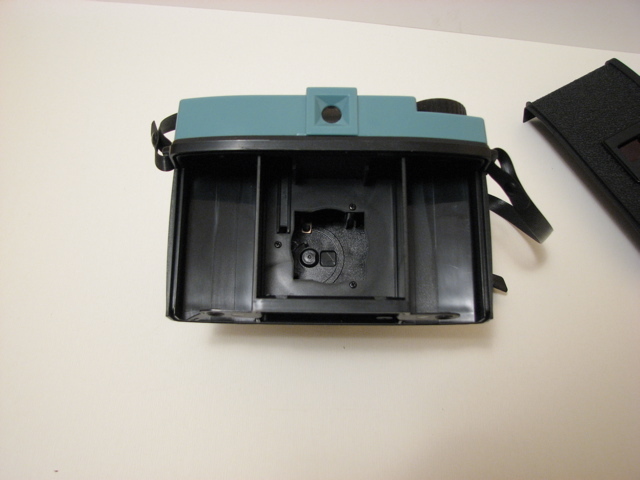 The inside of the camera reveals the shutter mechanism, and the plastic spool holders on the bottom of the camera. 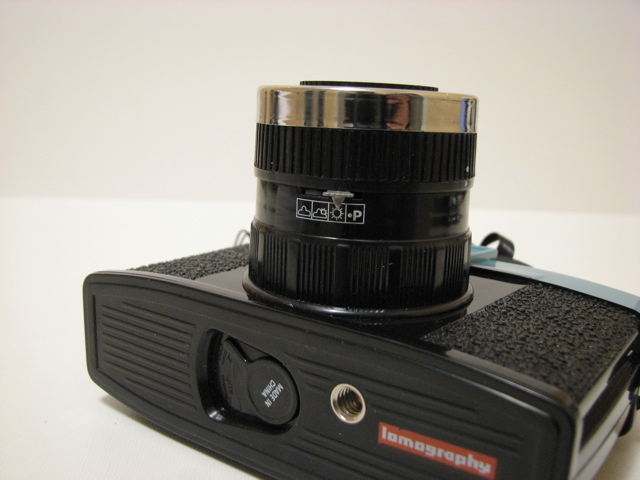 Unlike the original Diana, Lomography has engineered their camera to tighter specs, so that loose spool syndrome does not appear to be a problem. There also seems to be no need for the ubiquitous tape all original Diana users have become familiar with as part of their process. I have run 2 rolls of film through the camera and I have seen no light leakage. That's it for the tour of the camera itself. In part 2 of my review, we'll the most important feature of the camera, how well it makes images. Do you need to tape up a Lomography Diana+ like you would an original Diana camera? The answer is no. 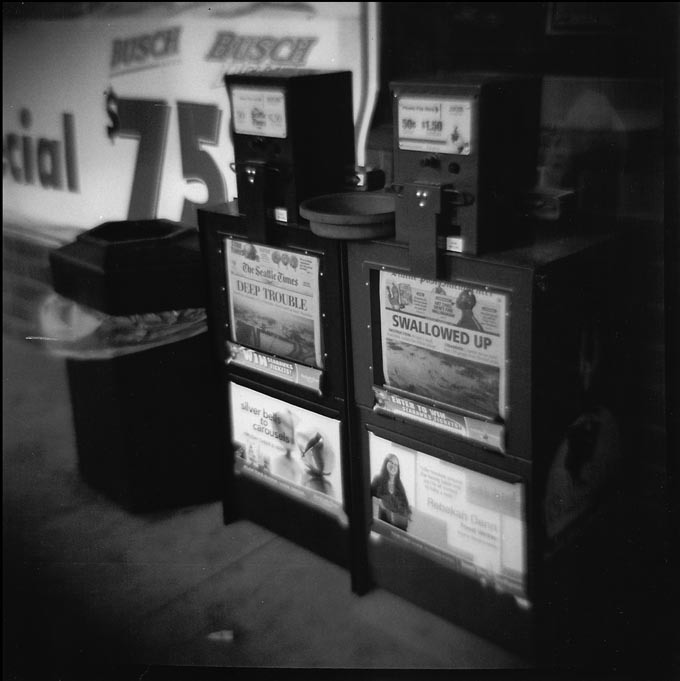 Two rolls of Tri-X run through Diana+ with no tape showed no signs of the trademark leakage of an original Diana. Edit 6-16-2008: You should put some black masking tape over the counter window. I have experienced some fogging of my film in bright sunlight through the little red window. When advancing film, avoid direct sunlight. Use your body to cast a shadow over the camera if there is no other shade available.